I'm having a hard time finding someone to draw up a CAD design. So I might just get these done with a water jet. Let me borrow your dust shield for a few days... I don't need no stinkin CAD design. If it was aluminum, I could do it on a bandsaw. Haha alrighty. When can I swing it by? "I'm fat and he's Asian. Crazy food is bound to come up in conversation." "wait, am I the Asian?!" "yeah bro. Yeah, I think so." "visually, yes. But so is Takumi Fujiwara." Wait a few days till I can swing by a metal store. No use in it sitting here without any metal to play with. Next weekend would probably work. If you can get me measurements and stuffs I think I can have a friend draw it up on CAD. Finally made it to the metal store... got enough to make a set or two. You can drop off the template, the old bracket and a caliper maybe? I could swing by your place randomly during the day. Awesome! I'll try and swing it by sometime this week, been super busy working 3 jobs lol. Your still at the same house right? I'm still trying to get a CAD design drawn up. Once that happens I might be able to start selling these as nice CNC'd 1 piece units if there is a market. I have more time than you... I drive a lot during the day. How could I pick up the stuff from your house? If you get by my place, near the front door is fine. I frankly don't think there is a market for it and with Club4ag down, you never know. 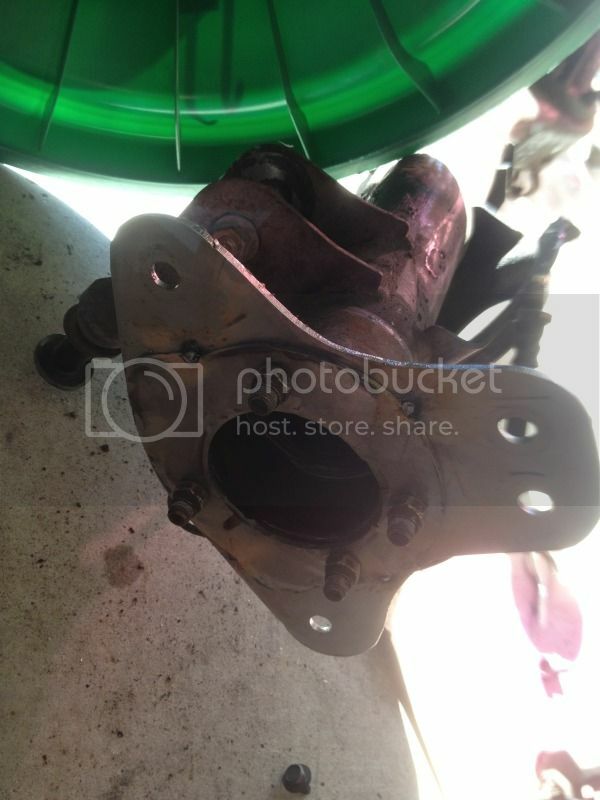 Twincharger, think you could help me out figure something out but on a celica-supra rear end? Let's wait and see how (if) this works first... Mkay? Couple very slight snags, but overall is coming together. Tonight I need to file out the inner diameter just a tad, slip in the axle and test fit everything. If it fits, I'll be welding the first pair up in the morning. The next set I'm going to use to get some quotes from some places around town with water jets. Looking good. I want to see pics with 2 calipers on the disk. Weld up another set for Scott? Scott will get the first set. The second ill hold onto for myself. The plan is two calipers and a disk on tonight. I am soo stoked for this!!! 'bout the same as a blue steering wheel. Don't worry about it.